That was echoed by other forecasts. 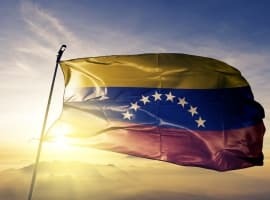 If the losses from Venezuela are combined with disruptions in Iran – knocking off around 1.6 million barrels per day (mb/d) – then Brent could jump to $100 per barrel, according to Bank of America Merrill Lynch. With that said, there are three potential factors that could prevent triple-digit prices, and instead “cap” oil at about $80-$90: increased production from Russia, Saudi Arabia and the U.S. strategic petroleum reserve. Good news for the U.S., maybe, but bad news for a lot of developing countries. As the U.S. economic story diverges from that of the rest of the world, the dollar has gained in value. The WSJ Dollar Index, which measures the greenback against a basket of 16 other currencies, has gained 5.6 percent since February. Again, a stronger dollar creates a feedback loop in which emerging markets have trouble paying dollar-denominated debt, and it also makes commodities, including oil, much more expensive since they are traded in dollars. Related: Are We About To See Another Correction In Oil Prices? 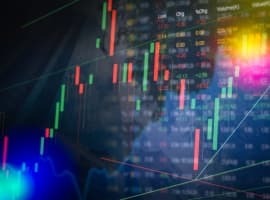 An emerging market downturn, if it occurs over the next year or so, would likely unfold at the same time as the OPEC/non-OPEC group begins to exit, or phase out, the production limits. That means we could have demand destruction happening at the same time as an increase in oil supply, which is obviously a recipe for lower prices. Bank of America Merrill Lynch says that Brent could drop below $60 per barrel by next year if this scenario plays out. “Should PMIs start to deteriorate over the coming months and encourage long oil speculators to liquidate their positions, or new short specs, oil prices could swiftly drop to $60/bbl,” the investment bank said in a note. Very interesting article. I am glad this is being pointed out as capital flight is a major concern and your article may be the canary in the cage singing loudly about the next coming world wide economic melt-down. 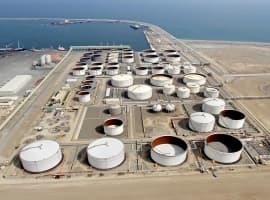 I think it might be worthy to note, that countries who do export goods to the US and thus earn dollars might find their dollars being able to afford more oil imports. It would depend upon the level of indebtedness of the individual country and how much surplus of dollars they have in their balance of trade. If their dollar indebtedness is low and the surplus derived from exports is high, then the negative offset to their economy might well be blunted or even turned into a positive for their economy in terms of a lower cost of energy to supply the economy and its growth. As the Killers’ song says: “Run for Cover”! Is there anything to prevent an emerging markets collapse by year end 2018? Venezuela’s tottering on total economic collapse. Argentina’s near to a total, harsh restructure. Brazil’s facing continued, national trucker strikes. Africa, is there once again, any good news? Well, at least you can say, the Eithiopeans aren’t starving—yet. Asia? One P8A shootdown over the SCS from a regional war.